It's time to earn another badge. 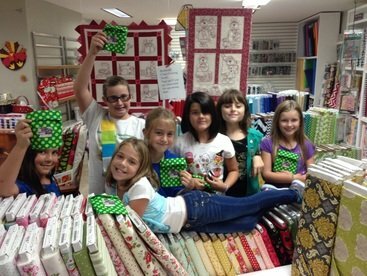 Join us for a fun class of sewing! 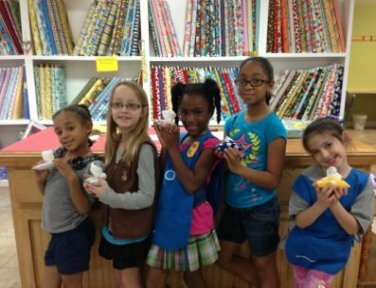 Learn basic sewing skills, sewing safety, and machine sewing while making a cute project with your friends. Sewing is a great skill to learn at an early age. Self Esteem Builder- "Did I just make that?" " I can't believe I sewed myself a....." We hear this all the time. It's such a great feeling. Fine Motor Skills: We find that Arts & Crafts are being left out during school years. Students work with small precision tools. Math Skills- Working out formulas for cutting out your patterns, figuring out how much yardage needed for a project. 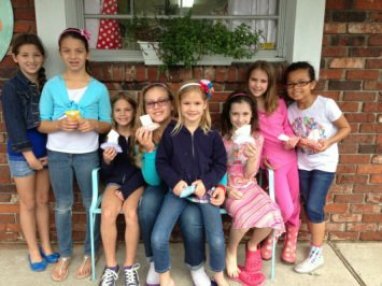 We can host up to 10-12 scouts at a time. Larger troops usually come in two sessions. Leaders can decide on project choice while meeting with Gigi. Examples of projects: Travel Pillowcases, Water bottle holders, Snack Bags, Tissue holders, Small Drawstring bags, Book markers. Projects are selected depending on age group. Please call for more details. Host days vary depending on troops needs. Sundays we are closed. Cost: $21.99 per child, materials included.